Theme Day 2 took place at the end of the Spring Term, with a wide-range of events happening both on and off the school site. Saltash.net’s Year 7 took part in a day of creativity, splitting into groups and spending the day producing murals to be displayed somewhere around the school. 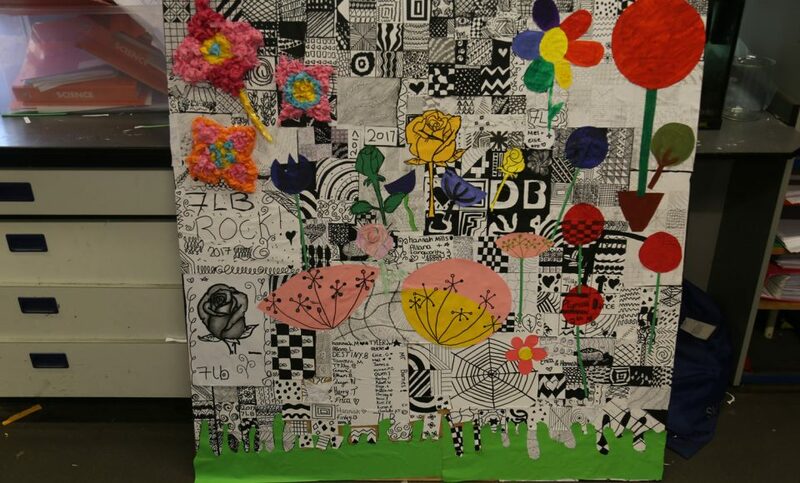 The students unleashed their artistic sides, after working together to decide where the mural should be placed and how it should look. 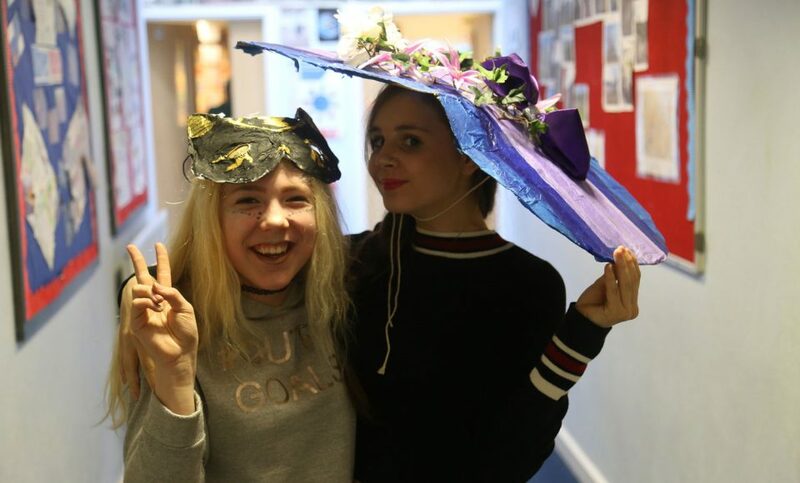 Year 8 continued the tradition of learning about ‘Hats through History’, with each group tasked with creating a hat representing their specific historical time period. Historical periods ranged from the Ancient Egyptians right up to the culture of the 1960s, and a lucky member from each group walked the specially-made saltash.net Hatwalk runway to show off their creative work. Year 9s were split into two groups, one which visited Woodlands, and the other which stayed at school for a day of cultural studies. Those who stayed at school kicked the day off with a continental breakfast to fuel them for a day of cultural learning and entertainment, with a number of traditional European games being played. Ms Yvinec introduced students to traditional Breton games, Miss Tremellat played Spanish game parchís, whilst Miss Kramer showed the students Dutch game Spijkerpoepen. 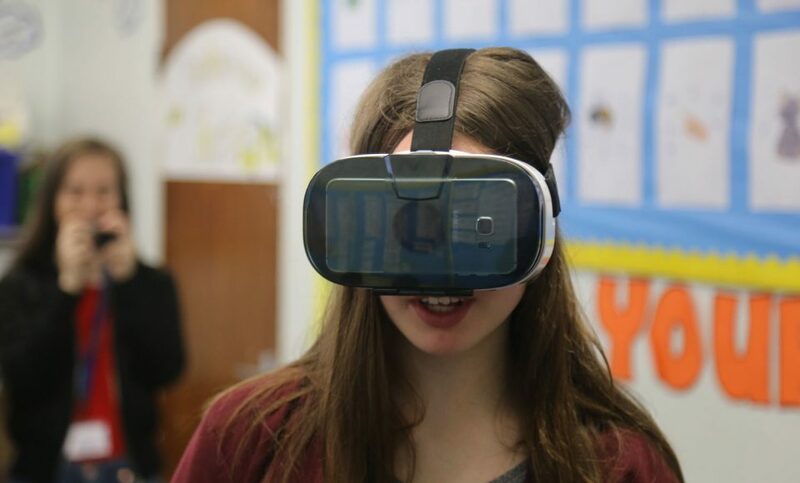 Mr Rowe also introduced groups to his new Virtual Reality (VR) headsets, and challenged students to find useful language-based VR resources. Some activities focused on the wellbeing of our students, with Miss Sayer leading sessions on ‘Resilience and Mental Health’ for our Year 10 students. Many of our Year 12s took part in a UCAS conference in Exeter, exploring their future opportunities, whilst those who remained at school happily volunteered, helping with on-site activities across all year groups, whilst our Year 13s also took part in varied wellbeing sessions. There were also a number of fun off-site trips, with groups travelling to Woodlands, Saltram and Mount Edgcumbe. Year 9 students at Woodlands were the set the task of completing a series of Maths challenges whilst exploring the theme park, whilst our Year 8s visited Saltram and Mount Edgcumbe for a day of geographical fun. Our Year 11s had an early start, travelling further afield to visit London for an exciting day of sightseeing. The group took a trip up the London Eye, and enjoyed a performance of hit musical Wicked.